Moving is a challenge in and of itself but even moreso when you have a pet to tote to your new home. However, while it might be a challenge, that doesn’t make it impossible—far from it. Consider this article your checklist into moving your beloved animal companion/s from one home to another. Long before your move becomes an issue, your pet should have proper IDs, complete with a microchip, IDed collar, and ID tags. If that pup or kitty goes missing somewhere, you would want to know when, where, and how to get them back as soon as possible. Pets with the proper ID are twice as likely to be returned to their homes. If your pet is traveling with you via road trip, make them comfortable in the backseat or floorboard. Give them a pet bed, a no-tip water dish, and a few treats for the road. Pup with anxiety? Wrap them in a thunder jacket or blanket before heading to your new home. This will help them sleep through the drive to your new destination. If you have to use a dog or cat carrier for the duration of your trip to your new home, make sure you get proper plastic welding repairs for old-fashioned carriers. You’d hate for your pet to make a break for freedom out of fear while in mid-flight, mid-drive, or mid-ride. Tip: Be sure you plan potty breaks for your pup when you map out your original trip. There should be one potty break for every two hours of ride time for larger dogs, and one potty break for every hour of ride time for smaller dogs. Pro Tip: Have a rambunctious pup? When mapping your journey, make time for stops at dog parks to help your cooped-up canine release some energy. 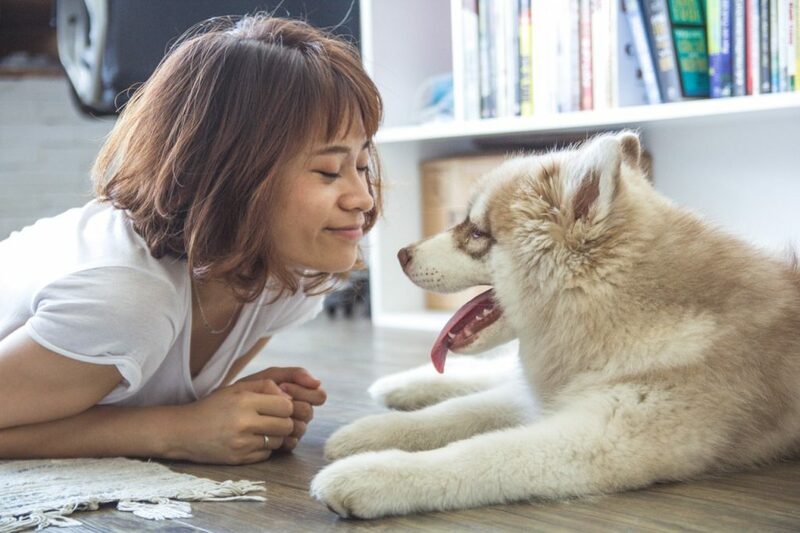 Most vets, when given the details of a situation and knowledge of how a pet reacts to change, will happily help you ease your pet’s nerves for the big move. You could ask for any ideas on how to calm your pet for the move ahead. Or, in worse or rough cases, a veterinarian and administer gentle sedatives to allow your pet to sleep through the ride. Be forewarned though that most sedatives come with the side effects of vomiting and disorientation after your pet wakes up.